Well Paddy’s Day has come and gone. I was never much of a fan. I had one or two experiences as a nipper, perched on the shoulders of adults, freezing and soaked, watching some odd floats trundle past in the nation’s capital. As it happened, events were conspiring against me taking part in our local parade as well. Despite spending about two hours in the station scrubbing and polishing the fire engine, and tarting it up with flags, balloons and bunting, we had no sooner arrived at the head of the parade when I spotted a plume of smoke on the edge of town. Within minutes, we were heading off to tackle a fire in a derelict house. Apart from all that drama, the week’s training has been going okay, with a couple of swims (one for a mile, the other about 50 lengths), some gym, and plenty of running. The pick of them was on Paddy’s Day itself. 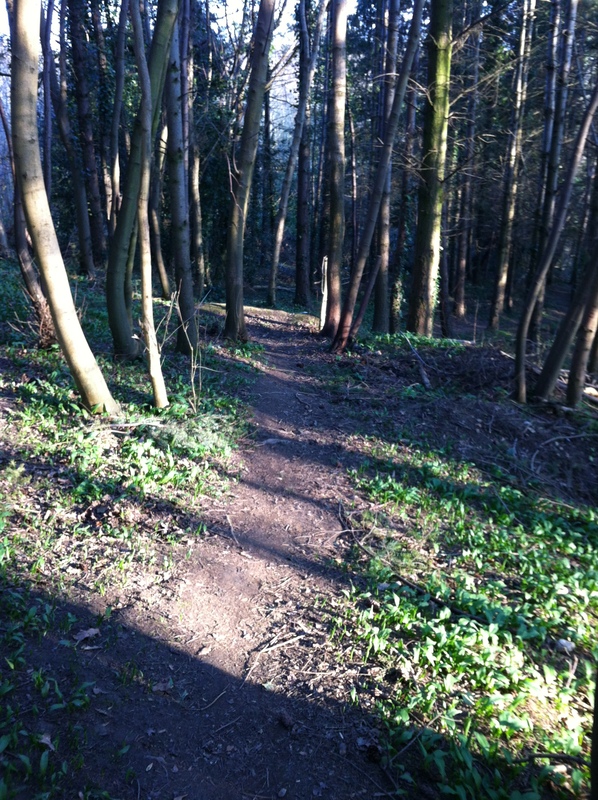 The weather was fine, but cool, and I did an 8.4 km in the park, and I took a few pics of the trails. 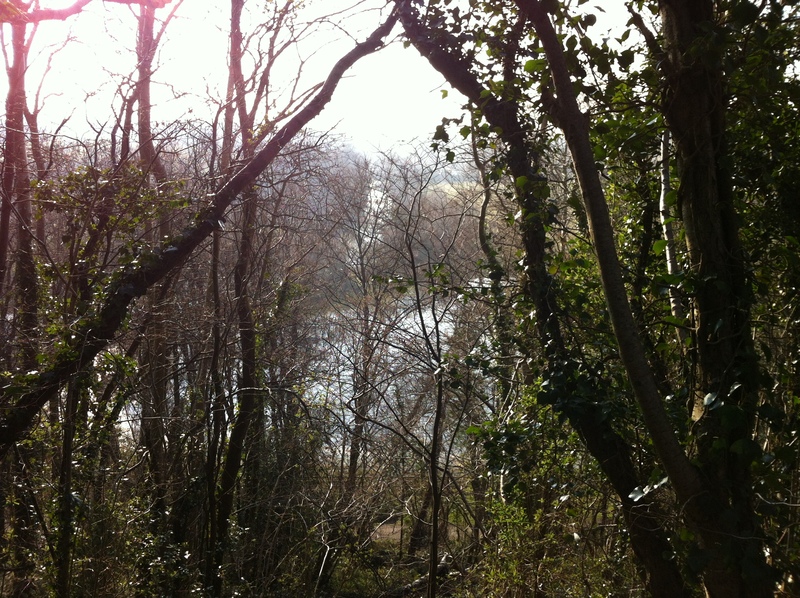 A view of the Liffey and flooded field through the trees from the top path. 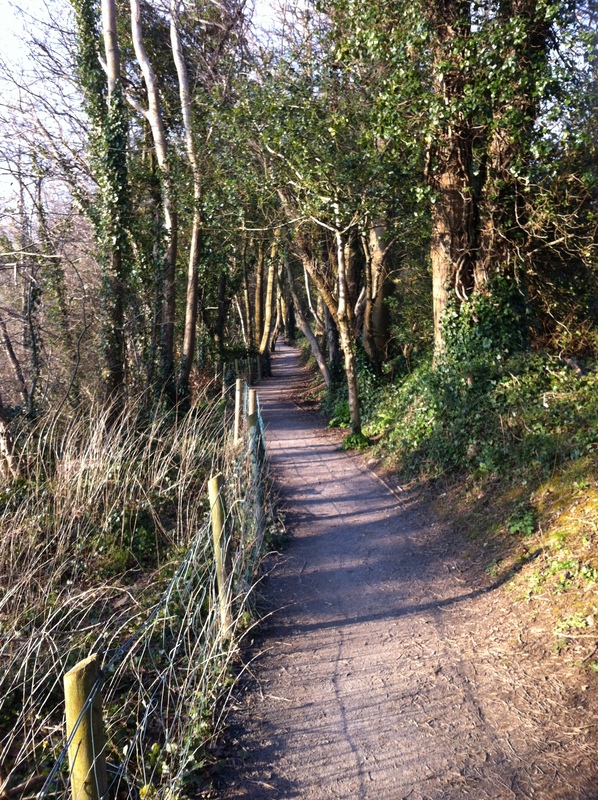 The woods beyond the top path. 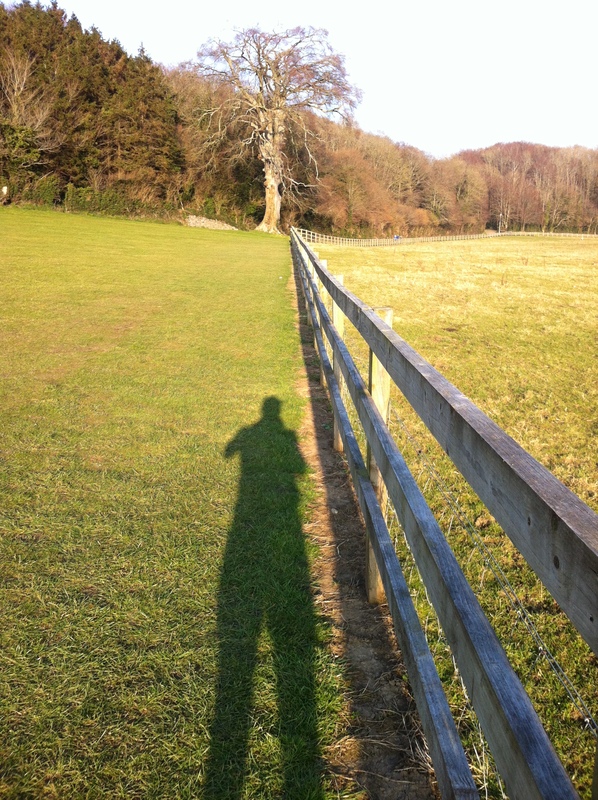 My long shadow points towards the Great Beech. P.S. 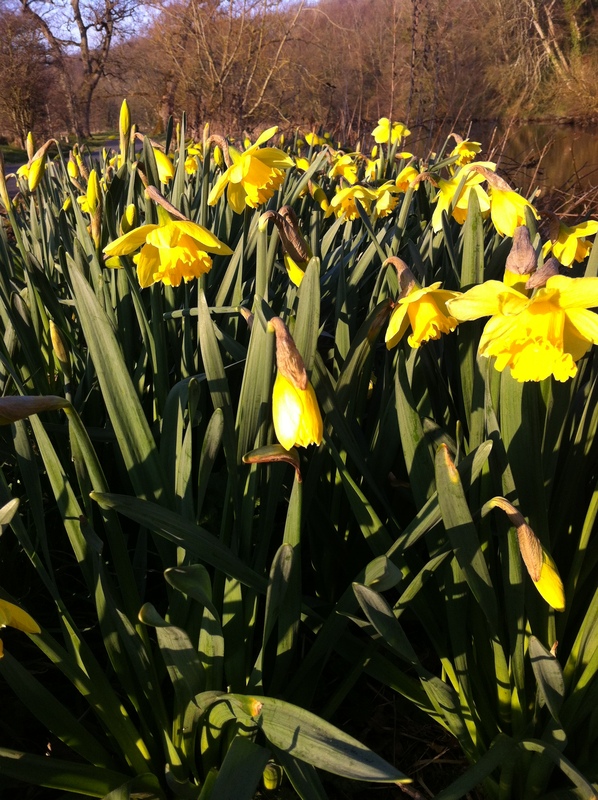 I spotted a Kingfisher about the same time as I took the pics of the daffodils, by the river just above the weir, and near to our house, a male Blackbird has been singing away for the last week or so, and it’s clearly mimicking a car alarm. Here’s a recording I made on my phone at the back of the fire station. Could even sound like a trush doing some John Coltrane; that’s mad! Haha! I’ve heard of Starlings doing weird stuff, what a talented lil’fella!